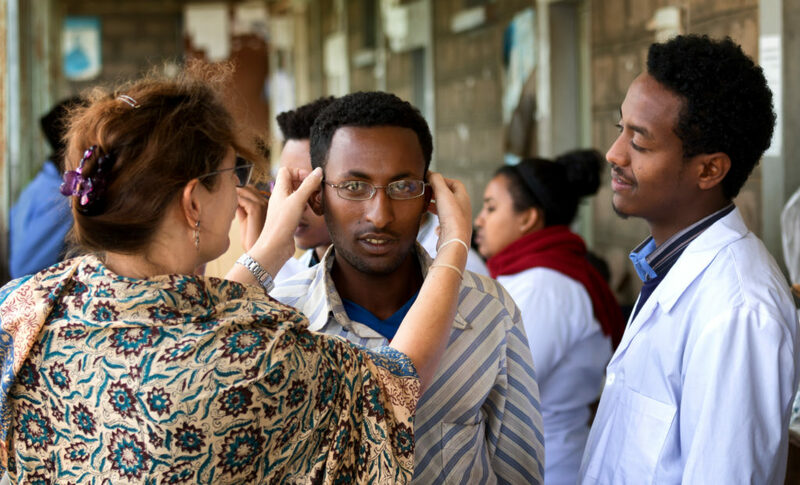 The Queen Elizabeth Diamond Jubilee Trust in the UK announced that it has begun working on an ambitious multi-stakeholder initiative for a new $1bn Vision Catalyst Fund to bring eye care to all people in the Commonwealth and around the world. We are proud to be one of several strategic partners who have committed their support to the Fund. As a strategic partner Essilor will support The Queen Elizabeth Diamond Jubilee Trust (the Trust) to develop a $1billion Vision Catalyst Fund over the next two years. Once operational, the fund will seek to accelerate systems change and expand universal eye health services led by governments, to provide sustainable and efficient long term solutions for eye health to entire populations in Commonwealth countries and across the globe. Other strategic partners include Standard Chartered, UBS, Peek Vision, Clearly, Sightsavers, the Fred Hollows Foundation and the International Agency for the Prevention of Blindness. As the global leader in ophthalmic optics, Essilor has the ambition to eradicate uncorrected poor vision in one generation. The Vision Catalyst Fund will be developed over the next two years and a formal launch is expected by 2020. The first key milestone will be the Commonwealth Heads of Governments Meeting in London in April. 53 heads of government will attend this meeting at which the Vision Catalyst Fund will be formally presented and they will be asked to commit to universal eye care for all in their respective countries. The details of how Essilor will support this important initiative are currently being worked out but the Group looks forward to being part of the Fund’s initiatives as they develop. This news comes after an earlier announcement Essilor invested a further €19M in its philanthropic and inclusive business activities whose shared goal is to eradicate poor vision in one generation. This investment follows on from a one-off dividend tax refund from the French tax authorities, which Essilor’s Board of Directors decided to allocate to activities that support the Company’s mission and in particular its goals to improve awareness and create sustainable vision care infrastructure for the 2.5 billion people in the world living with uncorrected poor vision. To read the Queen Elizabeth Diamond Jubilee Trust press release, click here.